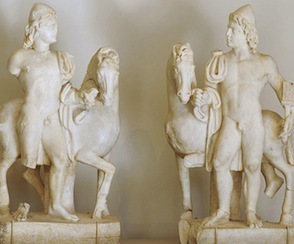 Kastor and Polydeukes, the two sons of Zeus who guide sailors. The sons of Zeus were great warriors, horsemen, boxers, wrestlers, cattle-thieves, and sailors. They value physical prowess, courage, and daring. They appear to sailors in the form of phospherous balls – one to indicate an ill-omen, two to indicate a safe passage. 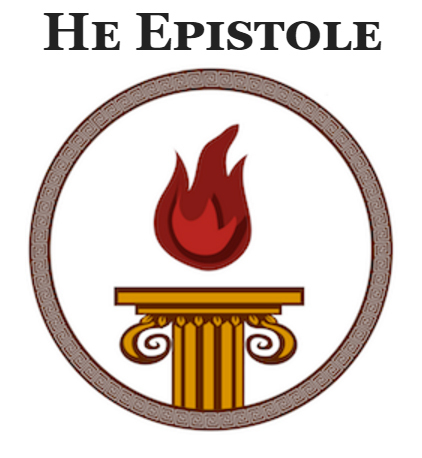 They were associated with the two kings of Sparta, and so added kingship and justice to their sphere of influence. August 13 (August 13) . January 27 (January 27) . Boxing, horse-riding, boating, and other athletic activities are good ways to honor them, as is watching these events. Be strong and daring, throwing caution to the wind. Respect your siblings.